Office hours vary due to outreach and special events so counseling appointments are strongly recommended. Please contact Jason Miller by email or call 330-319-2491. How can College Now help you? By 2018, nearly 60 percent of Ohio’s jobs will require postsecondary education. Jobs that did not previously require postsecondary education now do. The bottom line is that it will become increasingly more difficult to find a job in the 21st century without a degree of some kind. The college-going process can be overwhelming. Many students are concerned about the cost of college and being able to find a program that is the right fit. Some individuals previously pursued a degree, but for one reason or another did not finish and are now in debt. Many of the individuals visiting the College Now Resource Center have hurdles that are preventing them from obtaining the education they want. College Now works to guide individuals before, during and after college to make sure that these individuals are able to overcome their obstacles successfully. Whether you are a high school student or an adult learner, returning to college or just trying to figure out your career path, College Now is equipped to help. Jason Miller helps high school students and adult learners prepare, finance, and graduate from college through free college access advising, financial aid counseling, and scholarship and retention services. For more information, stop in and see Jason Miller on your next trip to the Library! College Now's mission is to increase postsecondary educational attainment through college and career access advising, financial aid counseling, and scholarship and retention services. The Barberton Public Library and the Barberton Community Foundation have partnered with College Now Greater Cleveland to provide college access services to local residents. 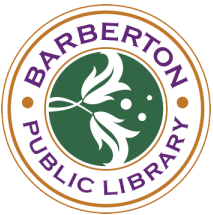 The Barberton location is funded by a grant from Barberton Community Foundation with support from the Barberton Public Library. College Now was founded by Robert Coplan, one of the founders of the Benesch, Friedlander, Coplan, and Aronoff law firm, and was the first organization of its kind in the nation. College Now helps students as early as middle and high school, as well as adult learners, achieve their dreams of going to and succeeding in certificate, two-year and four-year degree programs. College Now reaches over 25,000 students and adult learners each year, providing advising, financial aid counseling, scholarship, and retention services. Many of the individuals they serve are from low-income families and are first-generation college students. College Now works with middle and high school students in schools and community-based settings across four Northeast Ohio counties. Their advisors create a "college-going" culture in the schools by engaging students and their families individually and in group sessions. College Now's focus on adult learners is critical to the success of developing Northeast Ohio's talent. They provide solutions to adults, ages 19 and older, who want to return to college or are enrolling for the first time. Read about great resources on education, colleges, and career assistance from the Library.